mad street cred: Three guys I love. Michael Chabon. 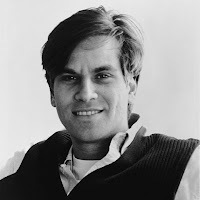 Aaron Sorkin. Joss Whedon. I can't get enough of them. This is just a brief ode to three keepers of mad street cred. My favorite author ever. Nobody does things with words like this man does. His prose is intoxicating. Some of his best: Wonder Boys. The Amazing Adventures of Kavalier and Clay. Mysteries of Pittsburgh. The Final Solution. Next up: The Yiddish Policemen's Union, his new book, which is currently sitting on my bookshelf looking very lonely. He might be an intellectual elitist, but he writes smart TV. I love it. You've never realized how the English language can be beautiful until you've listened to his thoughtfully developed characters rattle off his intricate scripts. It's like music. I can't get enough of it. He holds the TV audience to a higher standard, and to me, THAT'S street cred if I ever saw it. Sorkin's finest: Sports Night. The West Wing. Studio 60 on the Sunset Strip. A Few Good Men. The American President. He may not be as respected in Hollywood as some others, but you've gotta give it to this guy - he writes a damn good script, and the man knows how to tell a story. Fake-looking monsters or not. I love his stuff, and I think he's fantastic. Why Whedon rocks: Buffy the Vampire Slayer. Angel. Titan A.E. Toy Story. Also, Firefly, which I haven't seen yet. But I've heard good things. Anyway, those are the three privileged white men I'm absolutely obsessed with. Also, Jon Stewart, but that goes without saying. Me featuring him here would just be redundant, since everyone knows I'm in love with him. watch firefly, start to finish. then watch serenity. then feel that wonderful feeling of satisfaction. then realize how idiotic Fox was (again) for cancelling a great series. Why do they always get canceled?!? !